In all landlord-tenant matters, other than non-payment of rent, the most litigated issue is probably security deposits. The security deposit rules are fairly basic,but property managers often become ensnared in the related process. We will start at the beginning and try to point out more common potential pitfalls along the way, but will not be able to touch on every aspect of the NC Security Deposit Act. How much can we collect? Statute: The security deposit shall not exceed an amount equal to two weeks' rent if a tenancy is week to week, one and one-half months' rent if a tenancy is month to month, and two months' rent for terms greater than month to month. Comment: This gets more confusing when you look and try to figure out exactly what is “security deposit”. Unfortunately, the law is not quite as clear on this point. We know that it is not a “pet deposit” and that a landlord may charge a reasonable, nonrefundable fee for pets kept by the tenant on the premises. Any other fees held on behalf of a resident or that may be credited back at any time to the resident may be included in calculating the amount of the security deposit, including a deposit of the last month’s rent since this amount must be held in escrow on behalf of the resident. Where can I keep the deposit? Statute: Security deposits from the tenant in residential dwelling units shall be deposited in a trust account with a licensed and federally insured depository institution or a trust institution authorized to do business in this State. Comment: There are some instances where a landlord may post a bond, but those are rarely used. This becomes confusing when viewed against the North Carolina Real Estate Commission requirements for escrow funds, which no longer require that funds be held in a North Carolina institution. In this case, the Security Deposit Acts trumps the Real Estate Commission regulations and the money will be required to be placed in a North Carolina institution. When can I apply the funds to money owed? Statute: Upon termination of the tenancy, money held by the landlord as security may be applied as permitted in G.S. 42-51 or, if not so applied, shall be refunded to the tenant. Comment: Timing of taking the security deposit can be an issue. As emphasized above, it can’t be touched until the termination of the tenancy.The law states that the landlord has 30 days after the termination of the tenancy either to apply the security depositor to refund it to the tenant. At the end of the 30 days, the landlord must provide the tenant with a written itemization of any damages, together with the balance of the security deposit. If the landlord’s assessment cannot be completed within 30 days, the landlord must provide the tenant with an interim accounting, followed by a final accounting within 60 days after the termination of the tenancy. What constitutes the termination of the tenancy can sometimes be a source of confusion. In some instances, a tenant will surrender possession of the home before the lease term has expired. Unless the landlord agrees to an early termination of the lease, generally, the tenancy should not terminate until the expiration of the originally agreed-upon lease term or the home is re-rented, but the wrong judge or magistrate could take a different view. What deductions can I make? The tenant's possible nonpayment of rent and costs for water or sewer services provided pursuant to G.S. 62-110(g) and electric service pursuant to G.S. 62-110(h). Damage to the premises, including damage to or destruction of smoke alarms or carbon monoxide alarms. Damages as the result of the nonfulfillment of the rental period, except where the tenant terminated the rental agreement under G.S. 42-45, G.S. 42-45.1, or because the tenant was forced to leave the property because of the landlord's violation of Article 2A of Chapter 42 of the General Statutes or was constructively evicted by the landlord's violation of G.S. 42-42(a). Any unpaid bills that become a lien against the demised property due to the tenant's occupancy. The costs of re-renting the premises after breach by the tenant, including any reasonable fees or commissions paid by the landlord to a licensed real estate broker to re-rent the premises. The costs of removal and storage of the tenant's property after a summary ejectment proceeding. Any fee permitted by G.S. 42-46. This is the area where we see the most confusion. Some landlords believe the funds are available for any fees or costs a tenant may owe. Unfortunately,application of the deposit is limited to the 8 items above. We have outlined some modifiers in the language that you should pay particular attention. It appears only certain water bills are allowed under sections (1) or (4) above. Also, unless specified above,a bill must be become a lien to be deducted. Section (2) above is modified by further in the statutes which states that the landlord may not withhold as damages part of the security deposit for conditions that are due to normal wear and tear nor may the landlord retain an amount from the security deposit which exceeds his actual damages. 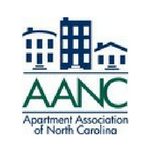 There is no clear legal definition of “normal wear and tear.” The North Carolina Real Estate Commission provided some guidance on the subject when it stated that for the most recent tenant in the home, the landlord cannot charge him/her “to replace such items as carpet, plumbing, or appliances which need replacement because they are old and worn out. In fact, [he/she] cannot be charged for even contributing to the normal wear and tear of such items.” TheNC RECwent on to say, “On the other hand, if [the tenant] caused the item to wear out because of [his/her] mistreatment of it, [he/she] may be charged for the amount of unusual wear which [he/she] caused (but not the entire cost of replacement).”The RECalso asserted that, "Ordinarily, costs for routine cleaning and maintenance (painting, carpet cleaning, etc.) may not be deducted from [the] security deposit. However, if [the tenant] leave[s] the property so filthy that unusual or extraordinary measures are necessary to clean or restore the premises, the landlord may deduct the cost of such cleaning from [the] security deposit.”So, even “normal wear and tear” is open to dispute. Just because a fee is not allowed by the Security Deposit Act does not mean that you cannot sue a resident to recover it; it merely means that you cannot deduct it from the Security Deposit. If there are fees that you cannot deduct but still will seek to collect, it is a good idea to send the resident both an accounting of their security deposit and a final statement of account stating everything that you believe the resident owes. In the current litigious era in North Carolina, it is wise to closely review your practices. Improper application of a security, if found to be in “willful noncompliance,” can result in the landlord not only having to return the security deposit but pay the attorneys’ fees and costs of the resident as well. Speaking of the current debt collection related lawsuits, it is interesting to note that despite all of the claims alleging that landlords were not allowed to charge court costs, the court costs are specifically provided for as an allowable deduction from the security deposit. This article is not legal advice and should not be relied on as such. You should seek advice from your attorney for your specific matters. This article was written and published with permission by Brownlee Whitlow & Praet, PLLC and was originally published in the 2019 Jan-March issue of the ApartMentor.